AP Instruments, a distributor of particle sizing instruments throughout Poland, hosted a Malvern Instruments-Postnova collaborative seminar last week. From academic research institutes to pharmaceutical companies, the Polish Academy of Sciences Institute of Biocybernetics and Biomedical Engineering was filled with more than 60 scientists seeking to solve a wide range of particle sizing problems. The collaborative nature of the conference illuminated quite clearly the various applications of Malvern’s Size Exclusion Chromatography (SEC) and Postnova’s Field Flow Fractionation (FFF) separation technologies. The sizing ranges of the two technologies contrast perfectly, together allowing separation of particles ranging in size from below 1 nanometer all the way up to above 0.1 millimeters, a range that includes small peptides, antibodies, viruses and plankton. The methods of separation also contrast, SEC using a pore-based stationary phase and FFF using a cross-flow system, presenting truly orthogonal means of analytical problem solving. Given the complementary nature of these techniques, it is little wonder that FFF is increasingly being used to complement SEC analysis. The range of detectors produced by both companies is similarly wide. Viscosity, Refractive Index, absorbance, RALS, LALS, MALS and DLS detectors are provided by Malvern Instruments alone, allowing a mine of information to be garnered from a single separative run. 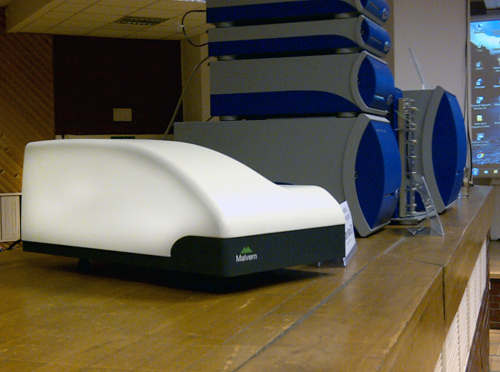 Malvern Zetasizers, for instance, can be used in ‘flow-mode’, as detectors of particles in the eluent produced by either separation technology. Such application allows the sizing of different components in highly impure samples, such as fullerene solutions, fullerenes being highly prone to the non-specific formation of highly toxic aggregates. 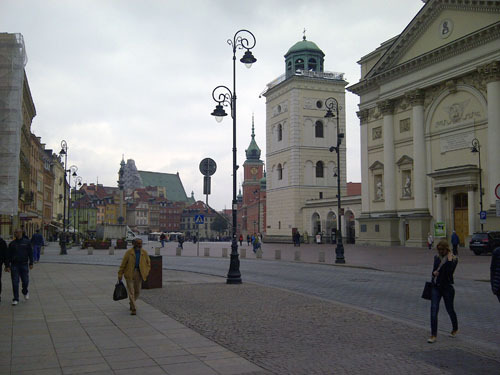 Another point of contrast was that of the tumultuous history of the city of Warsaw with the collaborative nature of the seminar. The manner in which SEC, FFF and the various detectors can be used as individual pieces in an extremely informative analytical jigsaw was the focal point of the day. The use of such orthogonal puzzle-solving is an increasingly important feature of analytical life across a wide spectrum of industrial sectors, and the large number and diverse range of analysts present at this seminar suggests that this trend is set to continue.